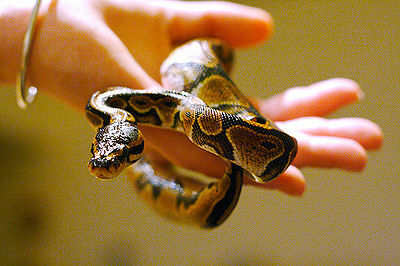 Reptile aquariums (or tanks) must be chosen carefully with the needs of your reptile in mind. The first thing to consider is the size of your reptile. Your pet needs enough space to rest, stretch and move easily. Take into account how big your pet will grow. You should have have three feet of floor space for every foot of your full grown reptile. 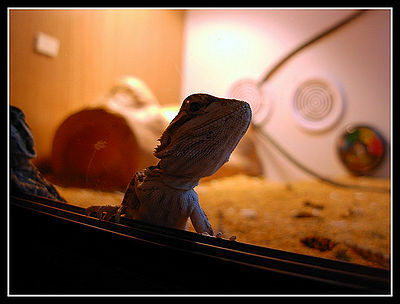 A reptile aquarium must have proper ventilation so that your pet is provided with fresh air. It should be made of strong glass or acrylic and close properly on top. Some reptiles require heating and will benefit from an acrylic tank which holds heat better than glass. Correct lighting is also essential. Some animals need lighting at specific times of day. 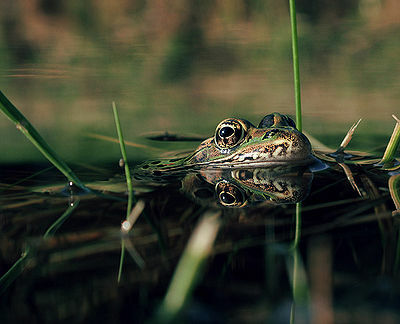 Reptiles do best when their surroundings match their natural habitat. Research the habitat of your pet and provide vegetation and decorations that match it. Your pet will be happier and healthier in such an environment. Place your aquarium in a spot where people will not be tempted to put their hands in it and touch your pet. Don’t put more than one species together in a tank. They may eat each other or fight. Also, each species has very specific temperature and humidity needs. There are even some reptiles which can’t be housed in pairs, as they are loners, such as the chameleon.